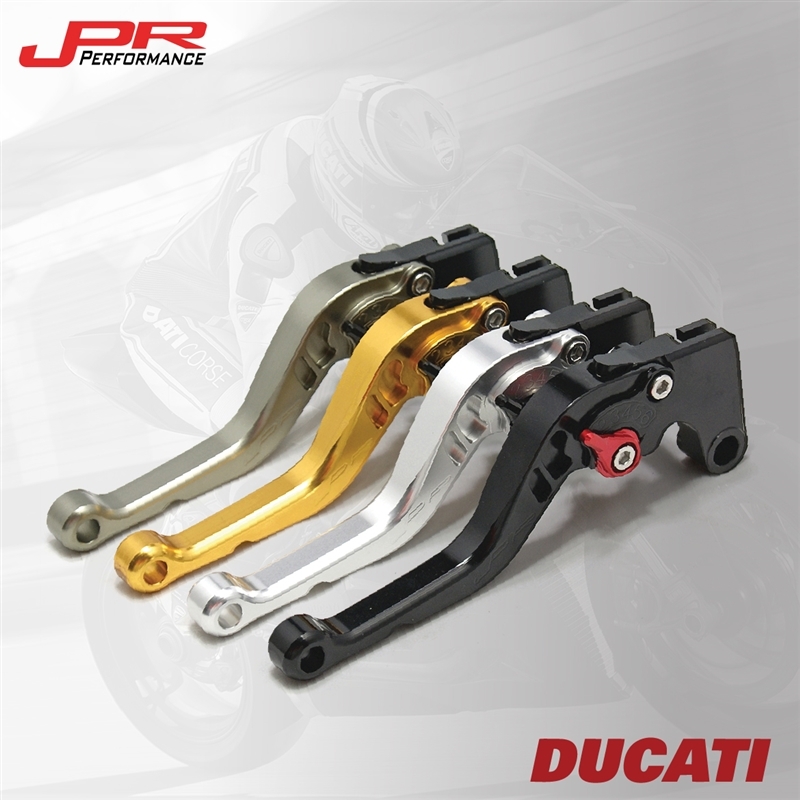 JPR Performance has the best CNC clutch and brake lever option for your motorcycle. 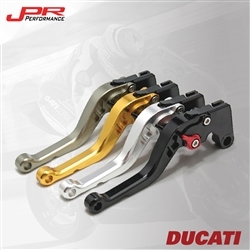 JPR offers the perfect aftermarket adjustable shorty levers for Ducati. We have four lever color options and six adjuster colors so that you can mix and match to create the perfect lever combination to fit your style. Designed for exceptional strength, fit, and protection. JPR offers a high-quality CNC 6061 T-6 billet aluminum that guarantees a long life. 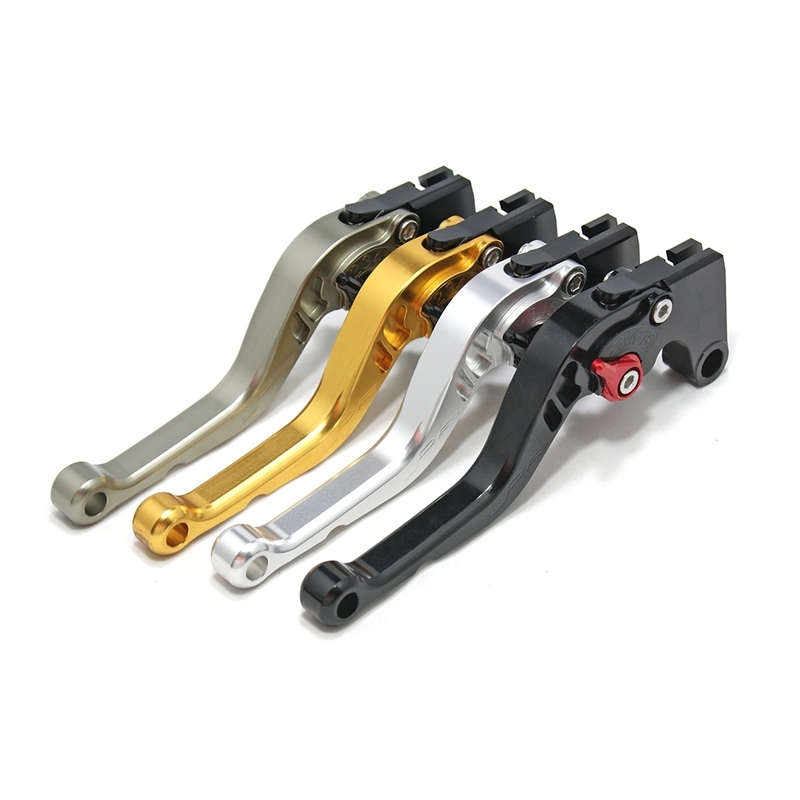 They are anodized with a beautifull glossy and vibrant finish, which increases resistance to corrosion and wear.JPR Performance Levers were designed to fill the void in the motorcycle industry for high-quality aftermarket shorty levers at a price to suit the budget of today's riders. Our levers provide a more adjustable reach than stock levers, a more comfortable feel and give off a clean customized look. 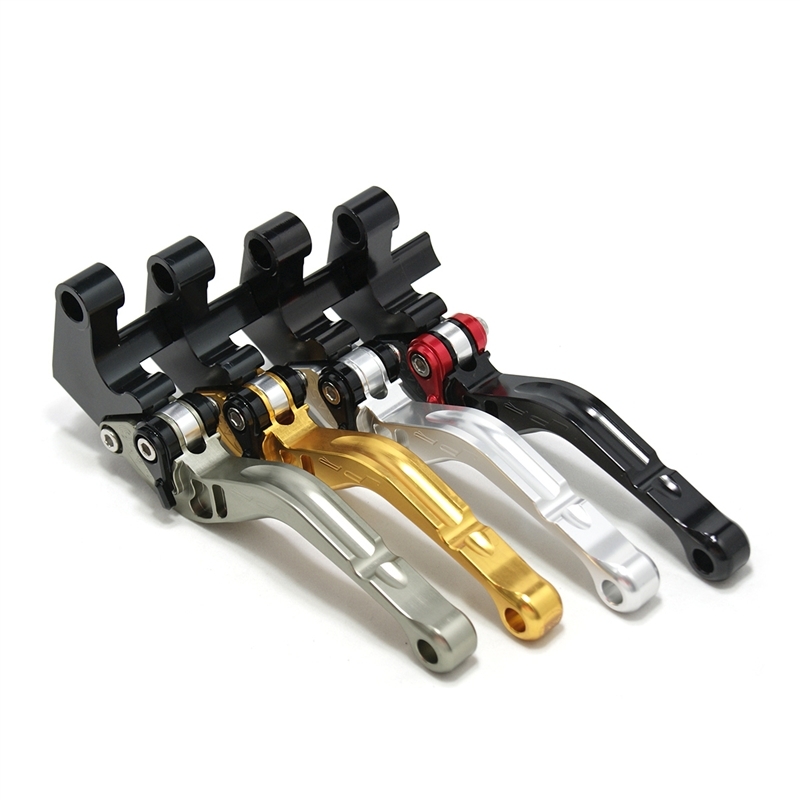 JPR levers are manufactured from quality CNC T-6 billet aluminum and offer effortless adjustments with 6-position adjusters that slide over ball bearings and snap securely into place. They are then anodized with beautiful glossy and vibrant finish, which increases resistance to corrosion and wear.